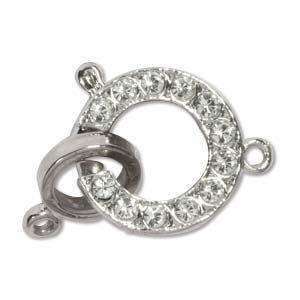 "Elegant Elements" by the Beadsmith, are a wonderful range of push pull clasps, many incorporating Swarovski Crystal Stones, and Crystal Pearls. The pieces are all electroplated in 23K Gold, Rhodium and Silver Plate, and are manufactured with an exacting European attention to quality,detail, and design. Sold singly.